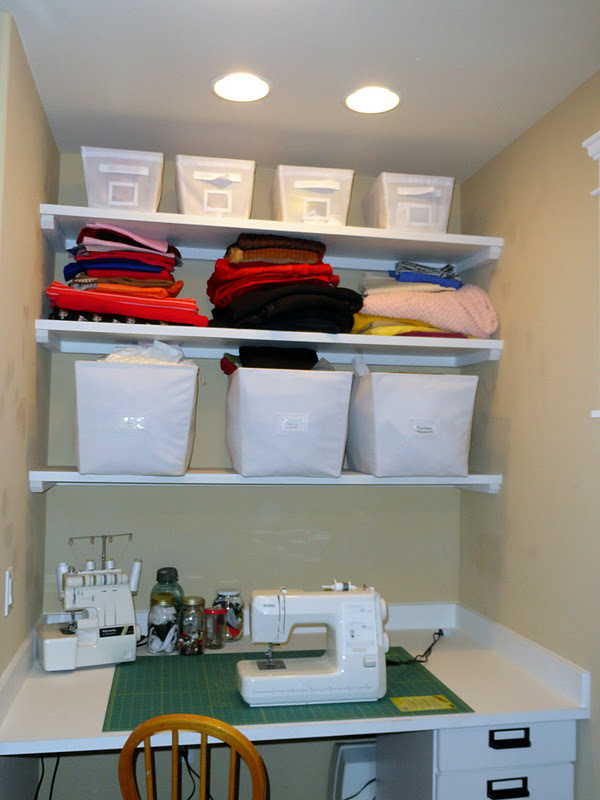 Do you guys remember the post that I made back in October showing you how my husband made some shelves for my craft closet? Remember this was the before? As of last week, this is what it looked like. Still not how I wanted it, but getting closer. 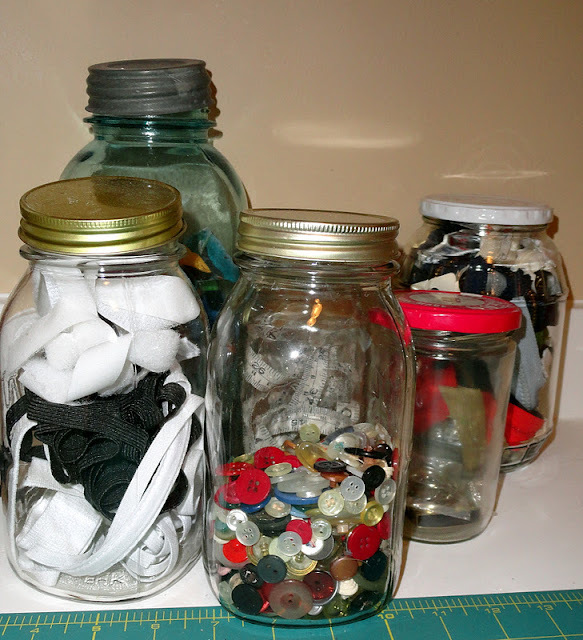 I used several ball jars to hold some of my various notions. On my Christmas list, were comic book backing boards. Not because I read comics and needed somewhere to store my latest Spiderman adventure, but because I heard around blogland, that you could use them as mini fabric bolts. 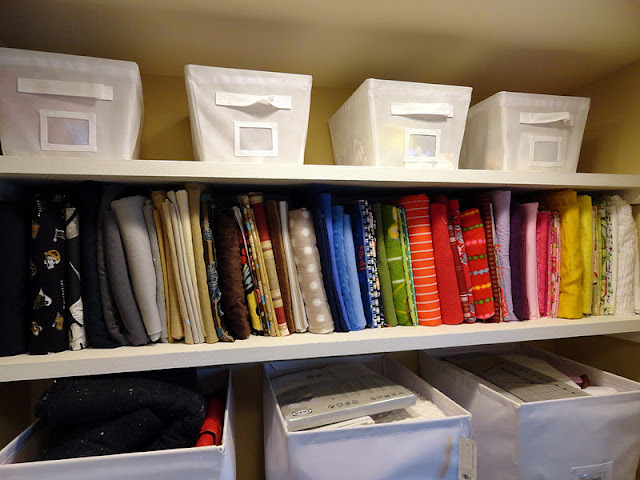 Check out my fabric storage now. 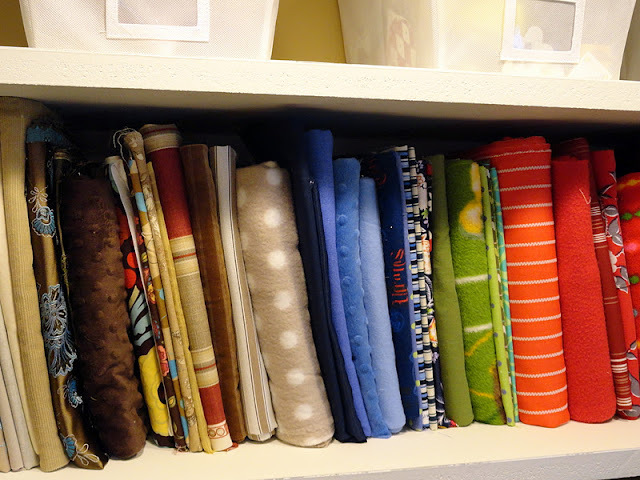 Some of the bulkier fabrics (felt, fleece) are hard to store on the bolt, but the smaller fabrics work just great on there. 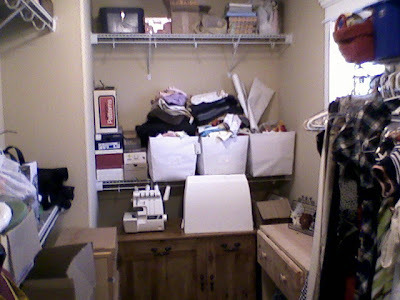 It makes it so easy to see what fabrics I have now. And I must say, after using all 100 boards (and needing more! ), I feel like I may have a little bit of a fabric addiction. Did you notice the two new can lights? Those are new. My handy hubby installed those to give me a little bit of extra light over my work area. 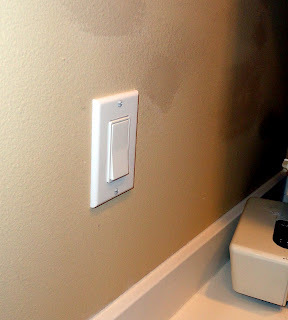 He installed a light switch right next to my sewing area and he also put two new outlets into the wall. Before, the only outlet was at the front of my closet and I had to string an extension cord to plug in my machine. 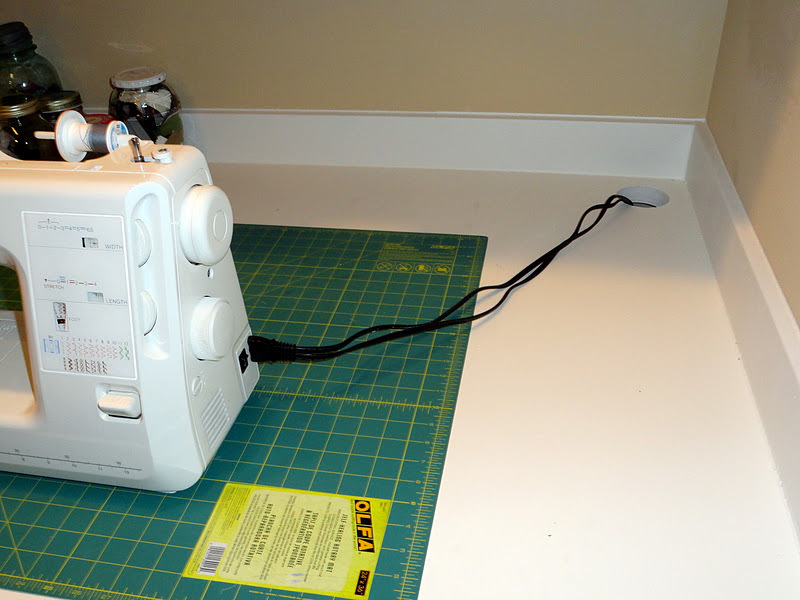 Also, because the table is so deep he had to splice the cords on both my sewing machine and serger and make them longer. 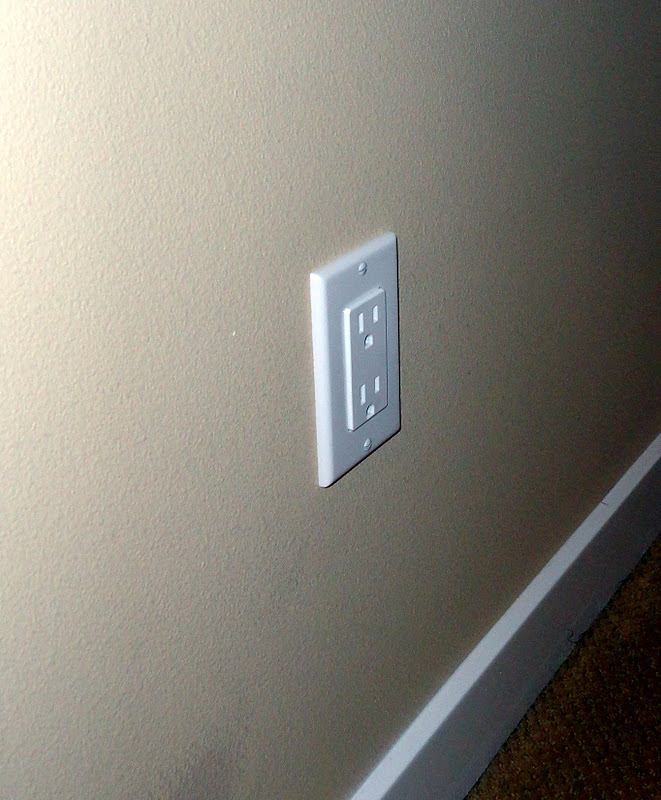 Both outlets work great! It's really starting to come together. 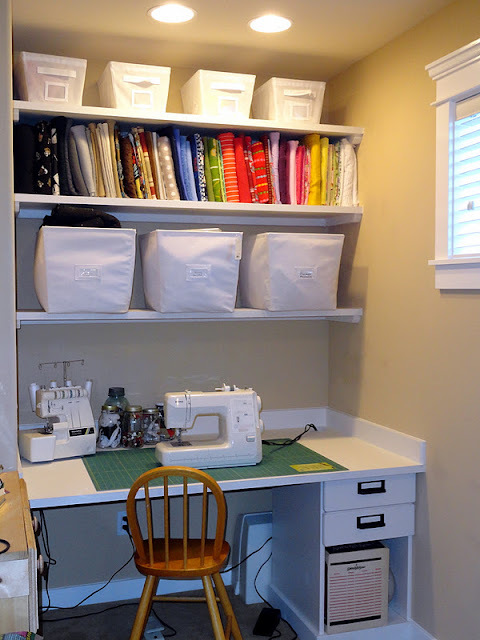 I've come a long way from sewing on my kitchen table! 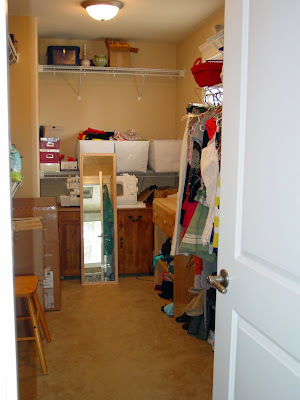 Rachel, I love your craft space! If you could please add a link back to my party within your post, I would appreciate it. Thanks! He's so romantic that fella of yours! This is great, i love it. I'm currently working on organizing my craft room too. This space is coming together great Rachel. 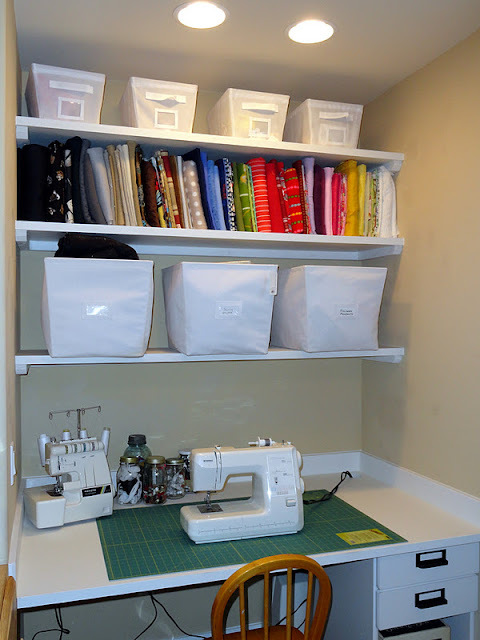 I love that fabric storage tip, so easy to see what you've got now! And, thanks for stopping at thespacebetween. I am now you're newest follower! What a great space! 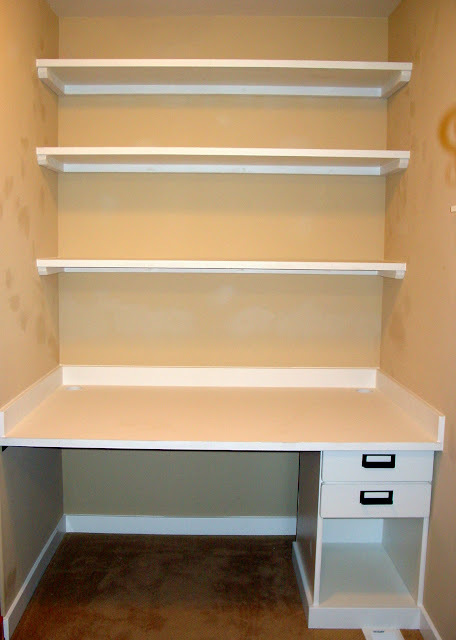 You are so organized. I love that tip about the boards holding fabric. Lucky lucky girl - you h ave your own mini fabric store there! This turned out awesome! I love it. Amazing space. I really like your idea for the small fabric bolts. That really makes them look so neat and tidy. yay! what a pretty space to CREATE! would love to have ya come visit & link up to my PARTY TIME TUESDAY linky!